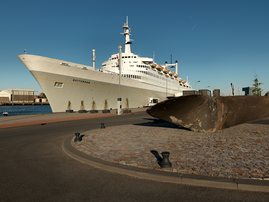 The conference dinner of Eurographics 2018 will be held at the ss Rotterdam. As the former steamship of the Holland America Line, the ss Rotterdam has sailed over the oceans of the world. Today, La Grande Dame is permanently moored in a unique location, boasting the elegant style of the 1950s, offering its guests unprecedented possibilities. The ss Rotterdam came into service for Holland-America Line as their flagship in 1959. She is the largest passenger liner ever built in the Netherlands and is numbered among the most successful liners which ever sailed the seven seas. The ship has largely kept her original character and remains in good condition. The new owners gave her a profound refurbishment so she can be in service as a static liner for many years. 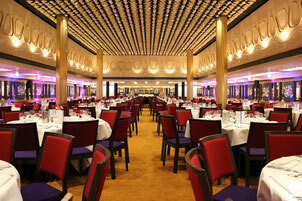 The ss Rotterdam is located at 3e Katendrechtse Hoofd 25, 3072 AM, Rotterdam. More information will come shortly about the directions and schedule.